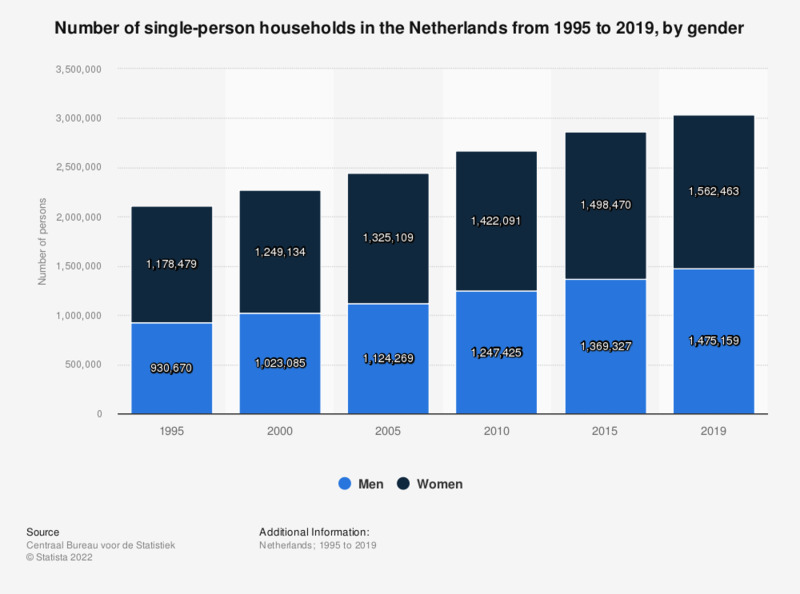 This statistic shows the total number of single-person households in the Netherlands from 1995 to 2018, by gender. It shows that there were approximately 1.5 million single women living on their own in the Netherlands in 2018. Figures valid as of January 1 of each indicated year. Singles are defined as persons living alone, in a private household. Statistics on "Demographics of the Dutch Caribbean"